These were taken a little less than a year ago. Look how much more hair she has now! 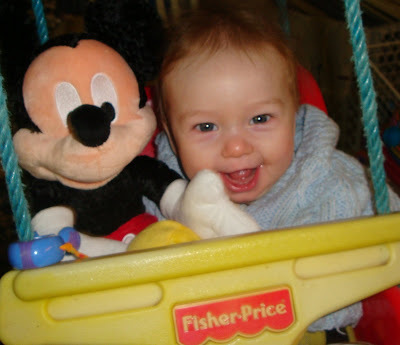 oh my, the pix of jacob in the swing with mickey mouse is now my background pix on my desktop. what a cutie pie!! he and lily look so much alike in this pix. 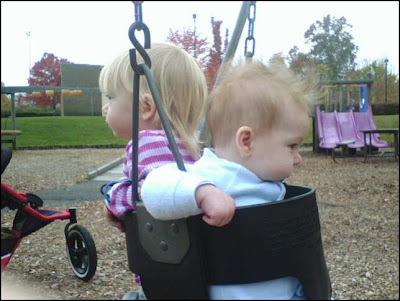 every now and then i see a very strong resemblance. can't wait to see you guys on saturday!